Kitchen renovations can improve the comfort, convenience, and value of your Georgia home, but it’s important to remember that the complexity of this space can result in a pricey improvement. It can prove very beneficial to seek out cost-effective solutions when updating your kitchen, and cabinet refacing may prove to be one choice that delivers amazing results without the cost or inconvenience. Detail Design & Remodeling is here to provide the best results to homes across Atlanta, delivering cabinet refacing in addition to our quality renovation services. No matter your home’s design or future plans, our home remodeling contractors are here and ready to assist in navigating the best outcome. 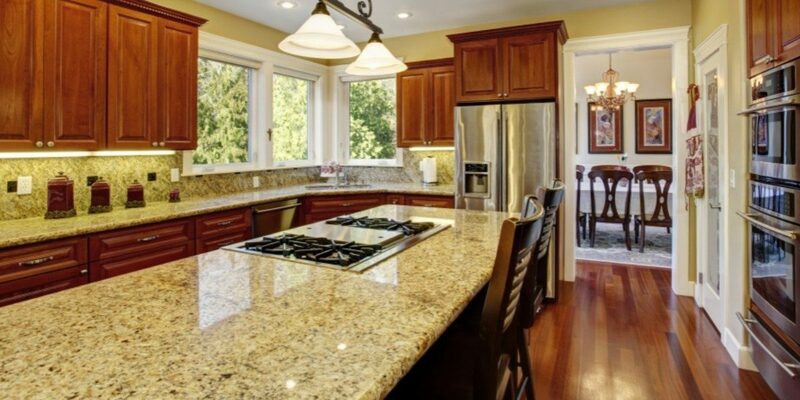 Today, we’ll discuss the different finishes available when refacing your kitchen cabinets. If you’re ready to get started on your home remodel, be sure to schedule your free consultation with us today! When the time comes to reface your kitchen cabinets, it can help to find the right material for the job. Many homeowners’ first instinct is to go with the lowest price tag, but when it comes to home remodeling, cutting corners can result in serious shortcomings later on. It’s important to find the right home improvement contractors if you are planning on creating long-lasting changes for your property. Detail Design & Remodeling is proud to provide top-notch cabinet refacing across Atlanta and Dunwoody, and our team relies on our experience and Old World craftsmanship to provide luxurious results that do save time, effort, and money. If you plan on kitchen cabinet refacing this spring, you will be faced with the choice of which refacing material best fits your style and your plans. Often shortened to RTF, this material is used in a wide range of cabinet resurfacing applications. Many consumers have relied on RTF in recent years, as it comes as an affordable product. Rigid thermofoil is wrapped around medium-density fiberboard (MDF), a cheap material that provides the basic support needed for quality cabinets. Before you see the low cost of RTF and appraise it as a worthwhile venture, keep in mind that thermofoil relies on low-quality materials to reduce the price tag. Installing RTF in high-heat areas such as next to the stove can cause warping and distortion. In some cases, the veneer has been known to pop off without warning. Georgia homeowners have also found that their newly refaced cabinets will begin to discolor over time if a cheap finish is utilized. From the temperature to the moisture concerns, RTF may not be an ideal long-term choice. Plastic laminates have evolved to provide a functional outcome for homeowners across the country. Numerous products are available that feature convenience and affordability, coming in nearly unlimited styles and options. Some laminate refacing materials can be peeled and applied to your existing surfaces, acting as a coating similar to wallpaper. This material relies on RTF, but deploys a resinous finish that provides further protection. While laminate has come a long way in recent years, it is still no match for natural materials. Many homeowners take on cabinet refacing thinking that this approach is easy, only to be left with imperfect results and costly setbacks. Nothing can quite beat the warmth and quality of real wood. You can choose from a variety of species, as well as stain colors and finishes. This approach relies on a layer of wood to provide a natural element that can serve as the center or enhance your kitchen design. Detail Design & Remodeling is proud to offer our cabinet refacing services across Atlanta relying on real wood veneers and quality craftsmanship. If you are considering thermofoil or some other material to save a few dollars, remember that your project will be remembered by how much you saved. Investing in what you truly want, however, will leave you with an outcome that you love daily, not the costs or details that went into the finish. Our home remodeling contractors are available to help homeowners with nearly any project. We proudly provide cabinet refacing services relying on proven techniques and a special attention to detail. We can help you bring your vision to life in a long-lasting and affordable manner. Contact us today to learn more, and be sure to schedule your in-home consultation!